If you are in need of emergency dental services and call Smile Care Dental during regular business hours, we will see you the same day! You will receive prompt attention and compassionate care. If you are in need of an emergency dentist when our clinic is closed our answering machine message has the phone number of the dentist from Smile Care Dental that is the emergency dentist for that week. CALL or TEXT our emergency dentist at that number and we will help you with a dental emergency. Do not settle for an answering service! 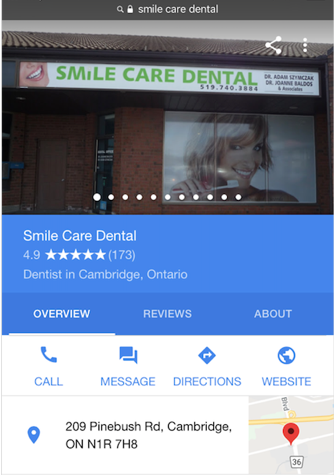 Communicate directly with an emergency dentist, a “24 hour dentist”, from Smile Care Dental. Our emergency dental clinic in Cambridge will help you in your time of need. When a patient experiences a broken tooth, it is often a surprise as most commonly it is something soft that one has bitten into that “breaks the tooth.” What to do about a broken tooth?